Topics covered include pre-requisite math and trigonometry; kinematics; forces; Newton’s Laws of Motion, circular motion and gravity; impulse and momentum; work, energy, and power; electrostatics; electric circuits; magnetism; waves; optics; and modern physics. Honors Physics Essentials is an easy-to-read guide to algebra-based introductory physics, featuring more than 500 worked-out problems with full solutions and covering topics such as: kinematics, dynamics, momentum, impulse, gravity, uniform circular motion, rotational kinematics, work, energy, power, electrostatics, circuits, magnetism, microelectronics, waves, sound, optics, thermal physics, fluids, and modern physics. This book is designed to assist beginning physics students in their high school and introductory college physics courses as an invaluable supplemental resource in class as well as a review guide for standardized physics assessments such as the SAT Subject Test in Physics, PRAXIS Physics, and CST Physics exams. Honors Physics Essentials is integrated with the APlusPhysics.com website, which includes online question and answer forums, videos, animations, and supplemental problems to help you master the essential concepts of physics. 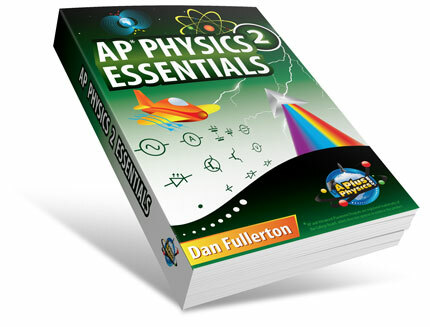 AP* Physics 1 Essentials – An APlusPhysics Guide is an easy-to-read guide to the entire AP Physics 1 course, featuring more than 500 worked-out problems with full solutions and deeper understanding questions. AP Physics 1 Essentials covers all major topics included in the AP Physics 1 course, including: kinematics, dynamics, momentum, impulse, gravity, uniform circular motion, rotation, work, energy, power, mechanical waves, sound, basic electrostatics, and circuits. courses both as a guide throughout the course as well as a review book to guide end-of-course exam preparation. AP Physics 1 Essentials is integrated with the APlusPhysics.com website, which includes online question and answer forums, videos, animations, and supplemental problems to help you master the essential concepts of physics. AP Physics 2 Essentials is an easy-to-read companion to the AP Physics 2 curriculum, featuring more than 450 worked-out problems with full solutions. AP Physics 2 Essentials covers all major topics of the AP Physics 2 course, including fluids, thermal physics, electrostatics, circuits, magnetism, optics, and modern physics. AP Physics 2 Essentials is integrated with the APlusPhysics.com website, which includes online question and answer forums, videos, animations, and supplemental problems to help you master the essential concepts of physics. 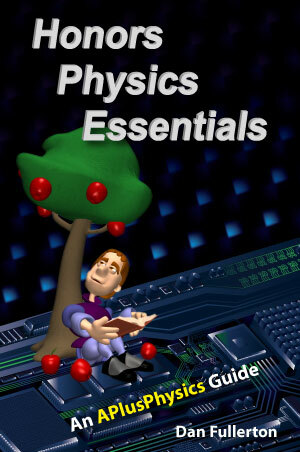 This book is designed to assist physics students in their high school AP Physics courses both as a guide throughout the course as well as a review book to assist in end-of-course exam preparation. Its focus is on providing the bare bones, essential concepts necessary for success in the course in a straightforward and easy-to-read manner, leaving development of in-depth problem solving and lab work to the classroom, where it is most effective. In short, this is not intended as a substitute for a standard textbook or course, but rather as an invaluable supplementary resource. This book includes more than 60 AP-style problems to test your understanding and help prepare you for the AP Physics 2 Exam. Additional supplemental problems are available on the APlusPhysics website. 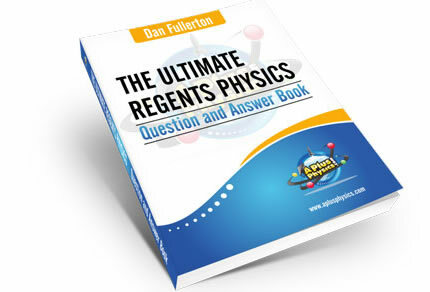 The Ultimate Regents Physics Question and Answer Book contains more than 1200 questions and answers from the last 17 Regents Physics exams, organized by topic. 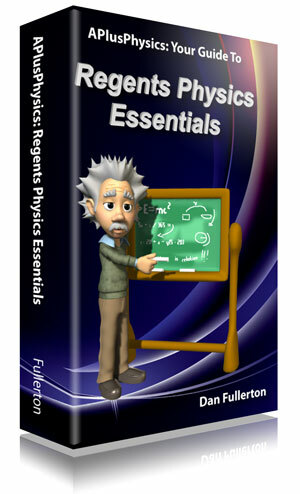 A terrific companion book to go with APlusPhysics: Your Guide to Regents Physics Essentials, topics covered include: kinematics, dynamics, circular motion, gravity, momentum, work and energy, electrostatics, circuits, magnetism, waves, optics, and modern physics. Problems are presented in workbook / worksheet format for easy distribution and use in a high school physics classroom or at home. The AP* Physics C Companion – Mechanics is an easy-to-read companion to the AP Physics C: Mechanics curriculum, featuring 350 sample problems with fully worked-out solutions. The AP Physics C Companion: Mechanics covers all major topics of the AP Physics C Mechanics course, including fundamentals of calculus, kinematics, dynamics, work, energy, momentum, rotation, oscillations, and gravity. 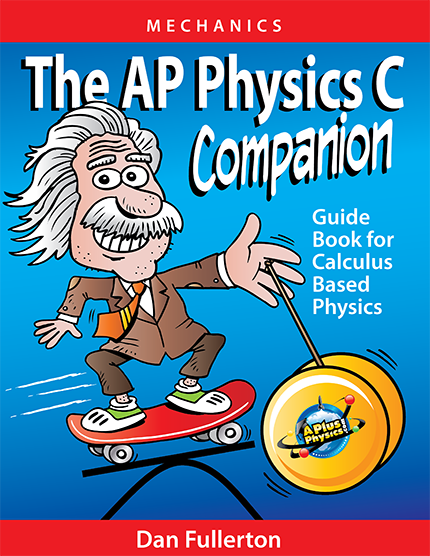 The AP Physics C Companion is not a textbook replacement nor is it a strict test-prep guide. It is a short, sweet roadmap to calculus-based physics courses such as AP Physics C: Mechanics and University Physics I, invaluable not just during test prep time, but throughout the entire course. The book lays out basic physics principles as quickly and clearly as possible, then demonstrates their application with hundreds of example problems solved in detail. Written by a physics teacher, The AP Physics C Companion correlates directly with the APlusPhysics.com website, where you will find free video mini-lessons explaining fundamental concepts, detailed study guides, a question and answer discussion board, and most importantly, a meeting place where you can interact with other students from around the world.